Division of Infection and Immunity researcher Professor Arne Akbar has been shortlisted for the prestigious £1 million 2018 Newton Prize. The 'Role of NK and senescent T cells in the Pathogenesis of human cutaneous leishmaniasis' project led by Professor Arne Akbar is among the 22 projects shortlisted for the award. 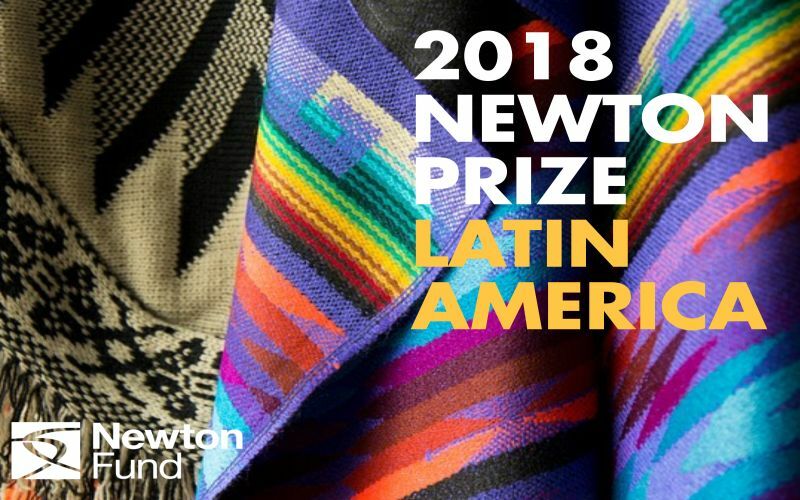 Each year the Newton Prize is awarded to projects that demonstrate the best science or innovation; promoting the economic development and social welfare of Newton partner countries. The Newton Prize was launched in 2016 and is part of the broader Newton Fund. The prize sheds light on the challenges faced by the developing world and how Newton Fund partnerships are helping to solve them. It also incentivises researchers to join the Newton Fund as partners with the UK to address global challenges such as poverty, climate change and public health. This year 140 Newton funded projects, fellowships or other awards applied for the Newton Prize. Four prizes of up to £200,000 each will be awarded to winning projects with the eligible Latin American countries. There will also be an additional prize (the Chairman’s Award) of £200,000 for a project with the potential for broader impact with other developing countries. Applications for this year’s prize were received from a range of institutions, including universities and companies from the UK and abroad. Shortlisted applications take on numerous sustainable development goals: from improving health and wellbeing to reducing inequalities, building sustainable cities, and contributing to peace and justice. They also span the Newton Fund’s three pillars of work: the development of people, new research, and translating ideas into innovations. “As the Chair of the judging committee I am thrilled that we have such an exciting and competitive shortlist and I look forward to working with the international judging committee to decide the winners. One of the aims of the Newton Prize is to highlight the lasting partnerships developed between UK researchers and their colleagues in Newton Fund partner countries to solve global challenges. Sir Venki leads a distinguished and independent Newton Prize committee with expertise in the development sector, the Latin American region as well as science and innovation. The committee will review the short-listed applications, along with feedback from expert peer reviewers, and choose the winners. During November the shortlisted projects below will be celebrated at award events taking place in Brazil, Chile, Colombia and Mexico, where the winning project for that country will be announced. These events will be followed by a UK reception in December hosted by Sam Gyimah MP, the Minister for Universities, Science, Research and Innovation to celebrate international and science innovation collaborations. Identifying novel intervention strategies to overcome early embryo exposure to environmental stresses: Can we grow robust cattle to sustainably enhance food production? Design, creation and implementation of a "Mineral Benefit School Plant, municipality of Segovia - Antioquia, Colombia"
Project lead: Dr Robert Lovitt, Director, Membranology Ltd.